The Waveguide team understands the critical nature of network connectivity in the Financial Services sector. Waveguide provides turn-key network deployment services to Tier 1 wireless carriers throughout the Northeast. Waveguide has successfully assisted local governments with their municipal networks and seamlessly navigated the hurdles networks like this can encounter. Utilities have growing demand for fiber and wireless networks for remote monitoring, sub-station connectivity and reading smart meters. In our Always On World, travelers expect and demand solid wireless coverage when staying at a hotel. 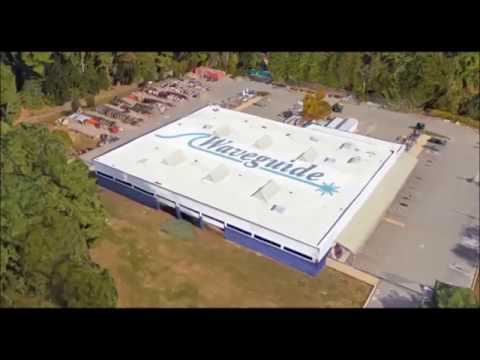 Waveguide builds and maintains 100’s of miles of fiber every year for Cable TV providers. Higher Ed campuses have insatiable demand for wireless connectivity. The world of sports and entertainment has changed dramatically over the last 5+ years. In-Building wireless coverage is no longer considered a nice to have, it’s a must. Whether a hospital, walk-in clinic or rehab facility, a robust fiber and wireless network is key to the patient experience and ability of nurses and doctors to work efficiently and effectively. Questions about the industries we serve, or the services we provide?